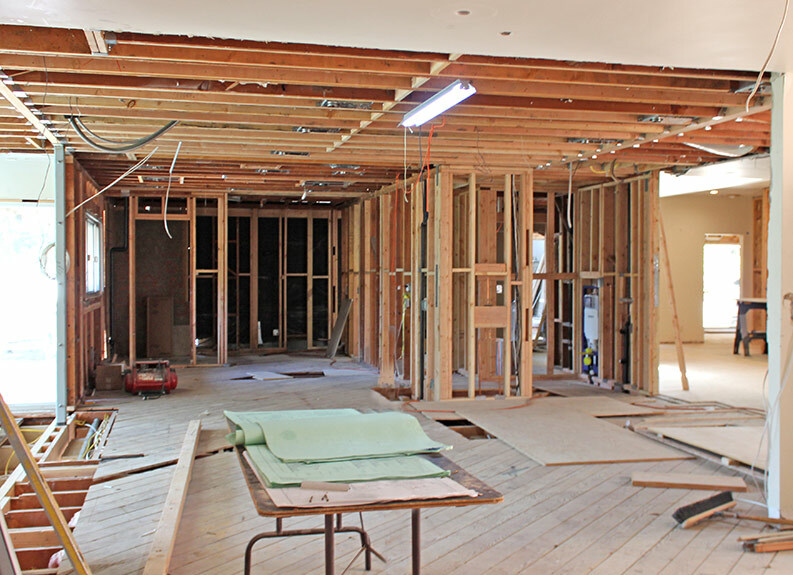 Our clients came to us to renovate and expand their contemporary style home in the beautiful neighborhood of south San Rafael. The main living space is situated on the second floor of the home and has been re-conceptualized to accommodate a new Entry, Kitchen, Laundry room and Great Room that overlooks the pool and outdoor entertainment area. The extension accommodates two Master Baths and Dressing Rooms . 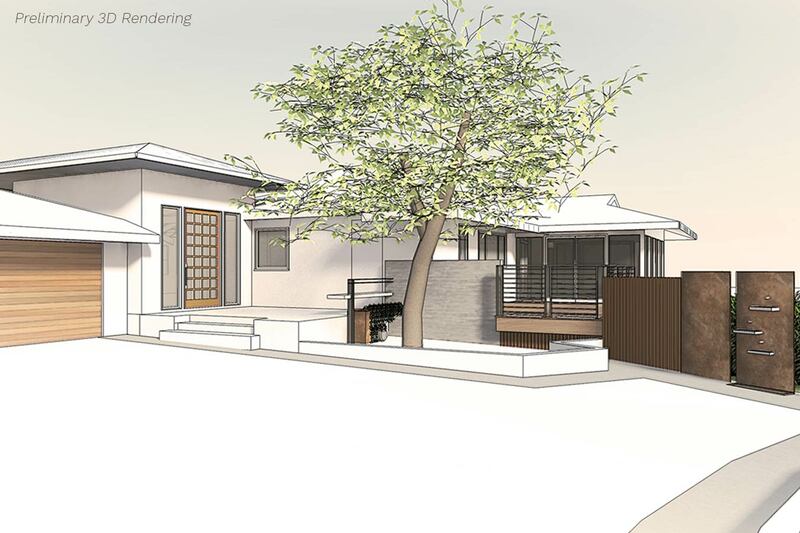 This new floor plan allows for easier access throughout the home and a better connection to the newly designed outdoor living space. The backyard landscape was redesigned to include a new teak deck and lap pool. The modern metal trellis structure canopies over the lap pool and includes a retractable shade. 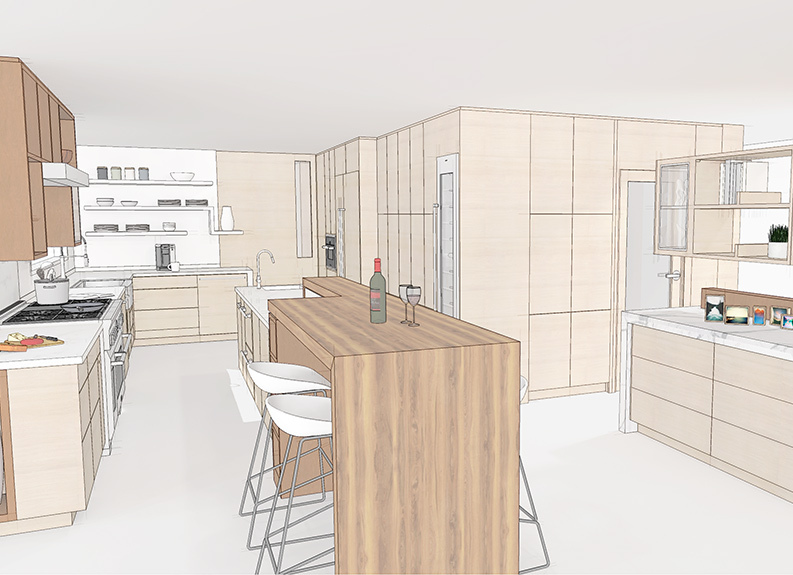 New contemporary style, oak cabinets will complement the sleek, walnut upper cabinets and island. Teak wood slats found behind a section of floating upper cabinets elegantly hides the staircase leading to the first floor. Architectural renderings help clients envision spaces and how they would live in them. These serve as helpful tools while exploring design options or as a reference point when in construction, allowing our clients to fine-tune the design to best fit their needs. 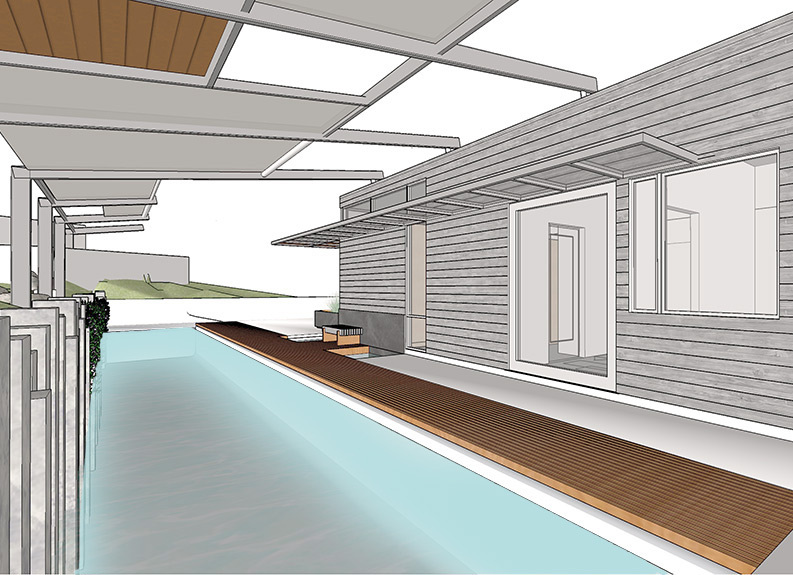 This rendering helped our client and team visualize a complex structure above the new lap pool. 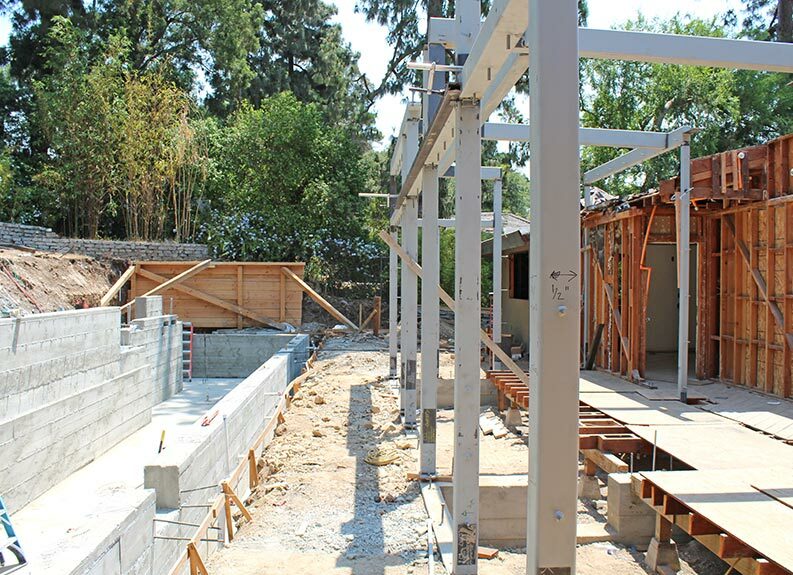 To see this Pasadena project first-hand, be sure to register for our next Mid-Construction showcase below. Our next event is on April 13, 2019. Don’t miss out!